Research Remix invited student and faculty researchers at JHU to collaborate with local artists and designers in new and unexpected ways. Over the course of a year-long initiative, participating artists were invited to choose a researcher to partner with and to use their work as the basis for new creative projects. A dedicated website and online gallery allowed participants to browse each other’s work, and the final matches were made at a where researchers shared their work and answered questions. Research Remix invited student and faculty researchers at JHU to collaborate with local artists and designers in new and unexpected ways. Over the course of a year-long initiative, participating artists were invited to choose a researcher to partner with and to use their work as the basis for new creative projects. A dedicated website and online gallery allowed participants to browse each other’s work, and the final matches were made at a public reception and artist talk where researchers shared their work and answered questions. 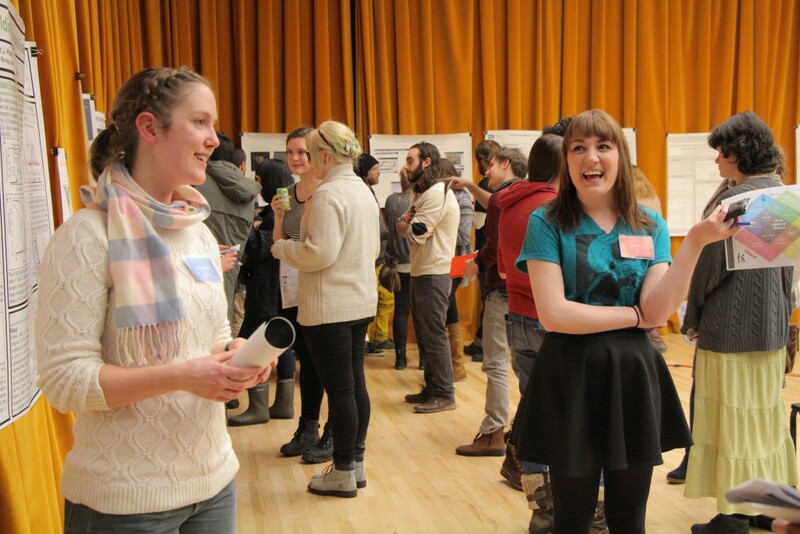 Participants were encouraged to meet throughout the Spring semester, many visiting each other’s labs and studios to learn about their respective work. 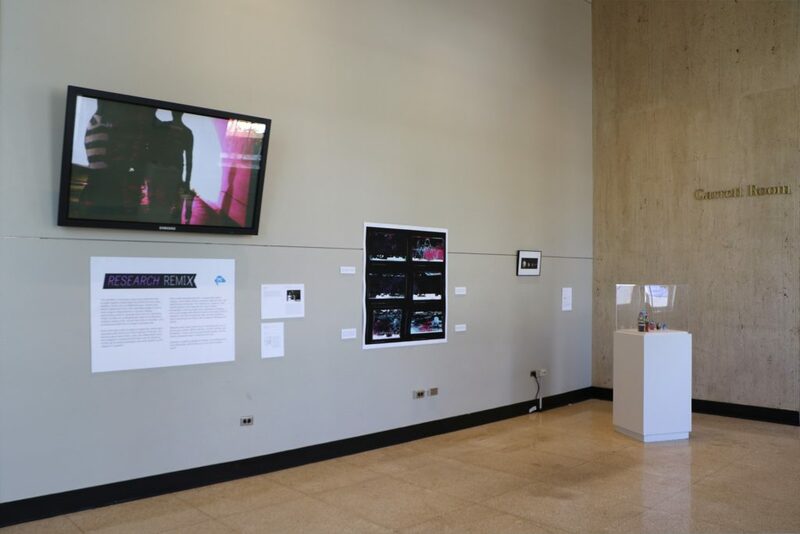 For the 2015 edition of Research Remix, all of the resulting artwork was displayed in the lobby of the Mattin Center below the DMC, while the project’s increased scope in 2016 necessitated a juried exhibition in library’s Gallery Q. Jurors included Marnie Benney (interdisciplinary curator, SciArt New York), Jennifer Fairman (Professor of Art as Applied to Medicine at JHMI), and Shodekeh (Interdisciplinary performer and faculty at Towson University). For the exhibition of selected work in 2016, the three jurors each presented short presentation of their work, including a beatboxing performance by Shodekeh that accompanied pre-recorded video from inside the performer’s larynx. In seeking to share JHU research throughout the Baltimore community and create new connections, Research Remix brought together undergraduate and graduate students form JHU and MICA, faculty and staff from JHU, MICA, Towson University, and Loyola University, and individual artists from the greater Baltimore area. Some artists chose to abstractly interpret imagery or concepts from their selected research, while others directly illustrated the work, or even processed datasets into unique visualizations. Research Remix was organized and curated by DMC staff, lead by Benjamin Andrew. 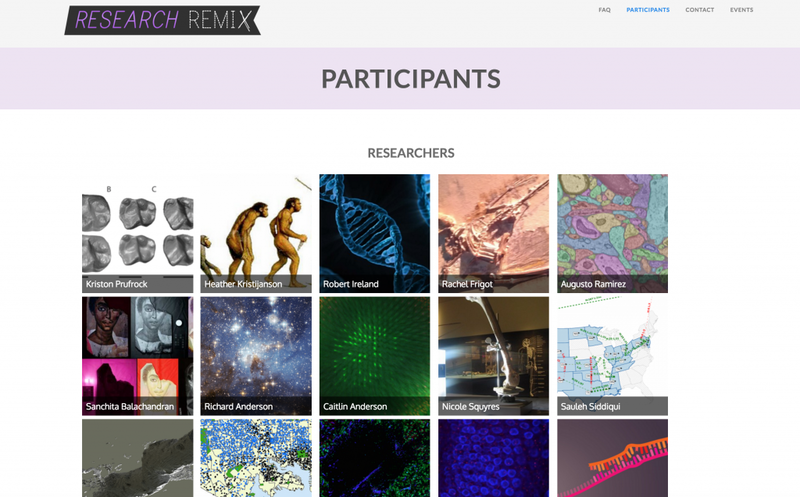 The 2016 edition of Research Remix was made possible by funding from a JHU Arts Innovation Grant.